The harsh Michigan winter certainly took its toll on the fruit crops this summer. Cherries were first, now blueberries, and next peaches. All these crops were or are sparse at best. Thankfully, produce from all over the state is offered at most grocery stores during the summer months and I was able to buy Michigan blueberries for $1.30 a pint or about $1.68 a pound. So far I’ve bought around 50 pints, stocking the pantry and freezer the best I can. 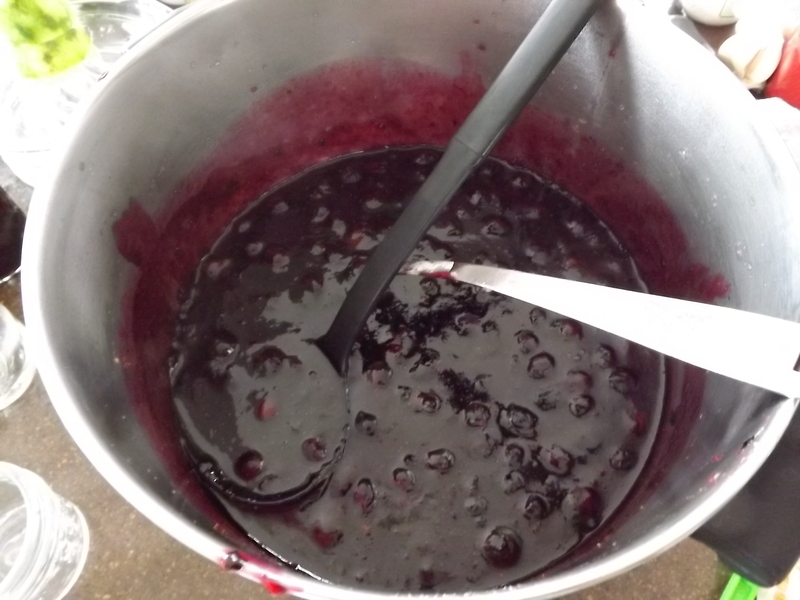 One of my favorite new recipes for blueberries came from Caitlin at The Babbling Botanist for Blueberry Lime Jam. She was so right when she said that the addition of lime really made the blueberry POP! What a difference. I don’t think I’ll ever make plain blueberry jam again. Caitlin’s recipe was based on the Ball Complete Book of Home Preserving. Being that I wanted to use Clear Jel, I changed up the recipe just a bit. 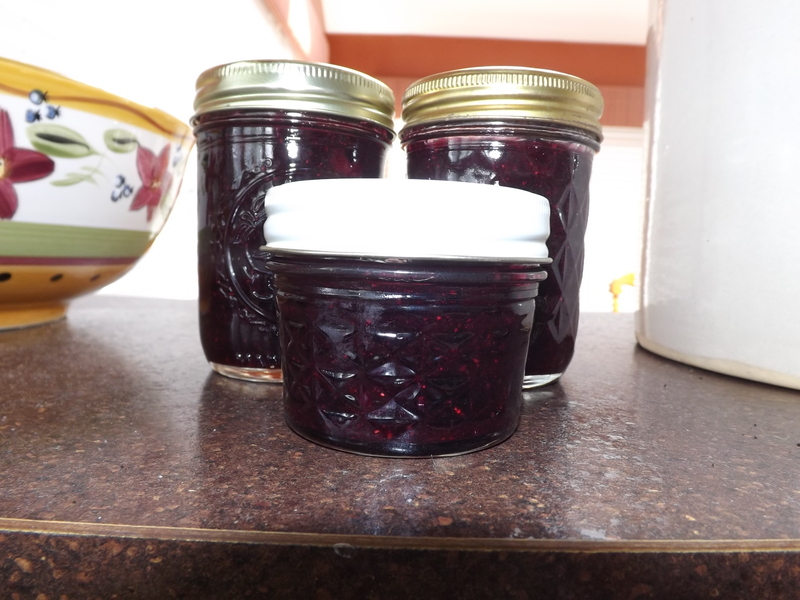 I think the results were very good, but if you don’t have Clear Jel, you should really check out Caitlin’s post: The Babbling Botanist – Blueberry Lime Jam. Wash and stem blueberries. Put in large stock pot. 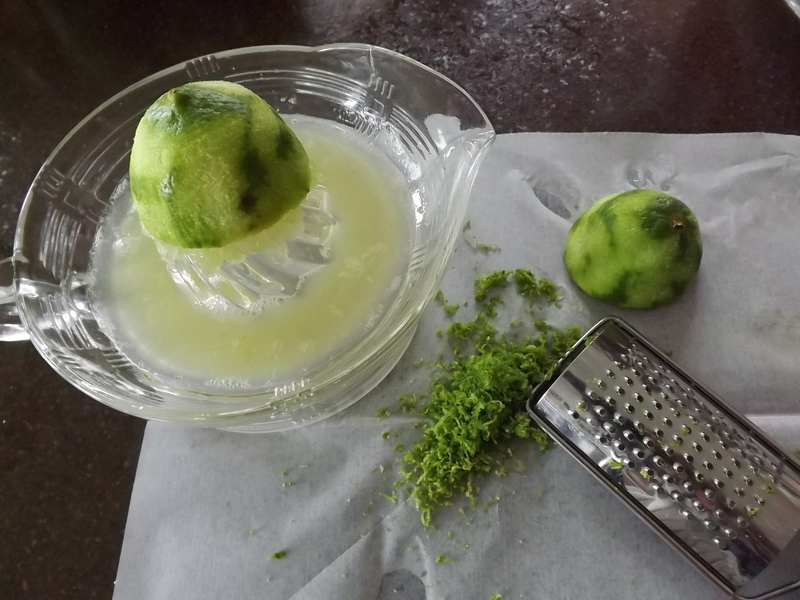 Zest and juice lime. Add to stock pot with sugar. Over medium heat bring pot contents to low boil. 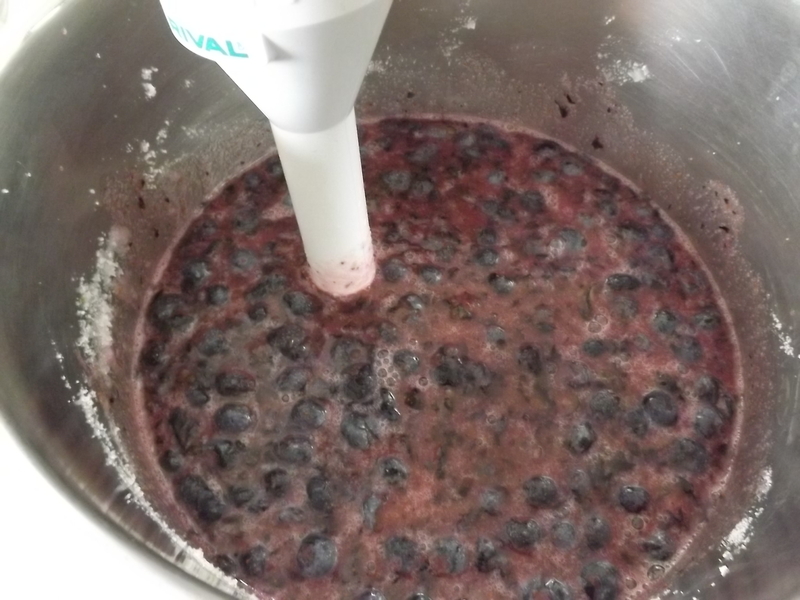 When berries start to crack and breakdown, use a stick blender/immersion blender to puree. 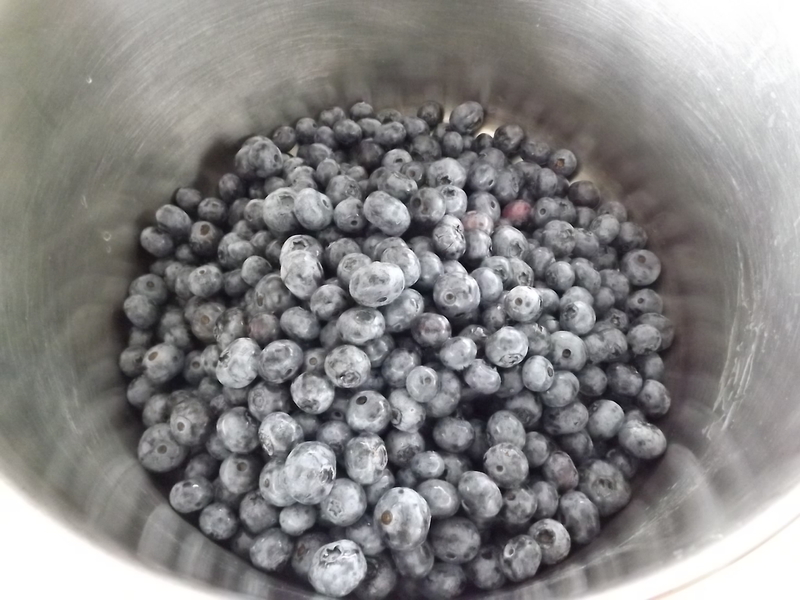 I like to leave some of the blueberries intact, so I use short pulses to breakdown most of the berries, but not all. Cook jam for 10 minutes over medium heat. Add Clear Jel slurry, increase heat and bring to boil. Boil 1 minute. Remove from heat and let stand 5 minutes. 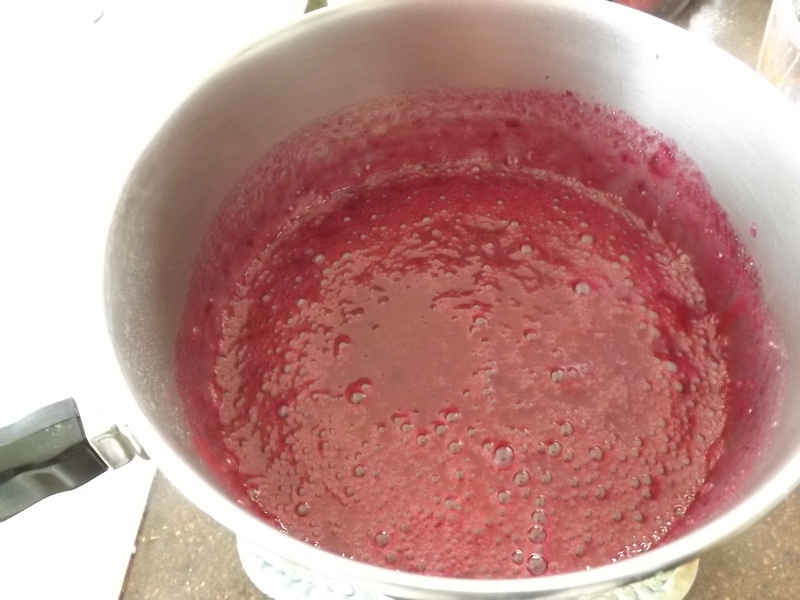 Ladle hot jam into jars, seal, and process 10 minutes in water bath. This is definitely a recipe worth trying. I’m so glad I did. 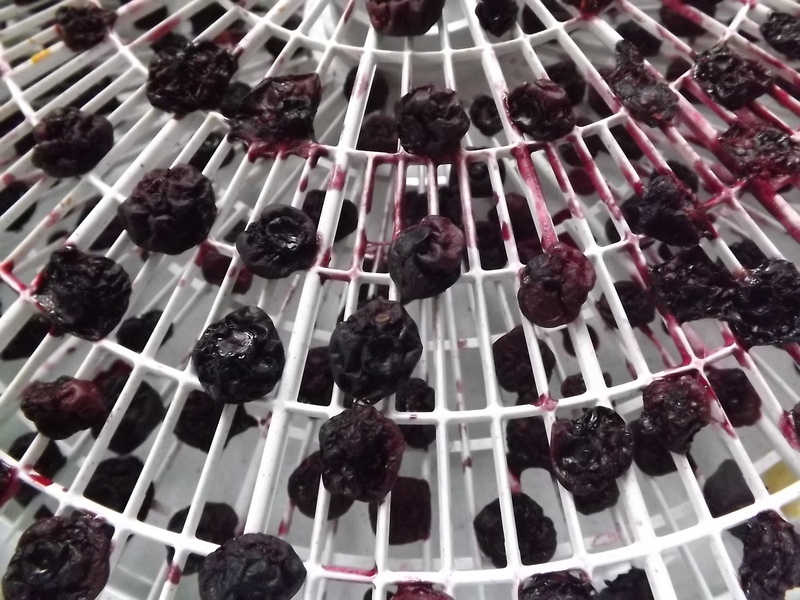 Once the jam was processing, I decided to take some blueberries and dehydrate them. 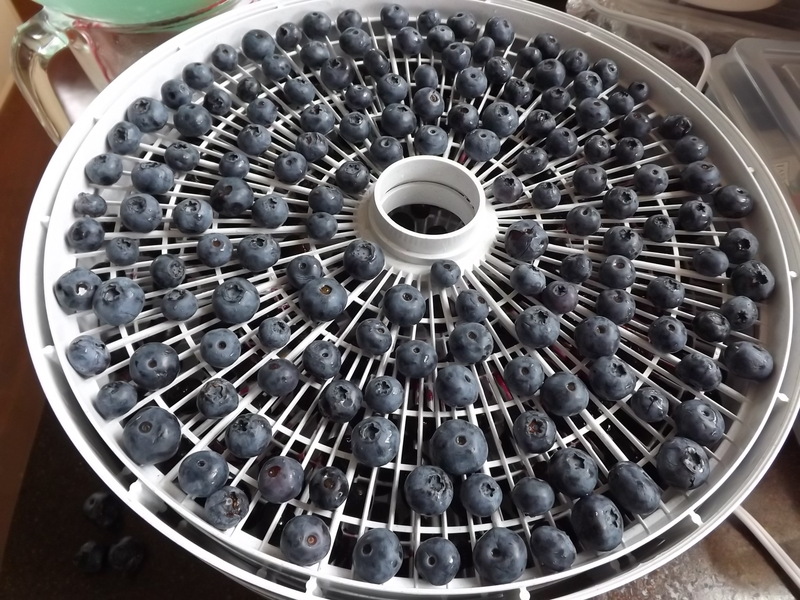 On the internet there are countless sites claiming to have the best way to accomplish dehydrating blueberries. Not knowing which one would work, I decided to try two of them and see which one worked better. 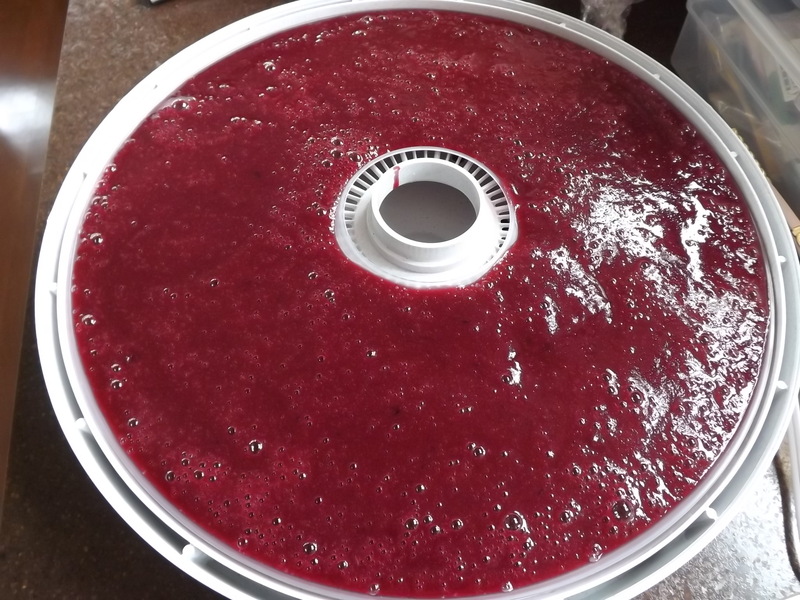 The first called for the berries to be blanched in boiling water for 30 seconds or more (until the berries crack) and then spreading them on the dehydrator trays. 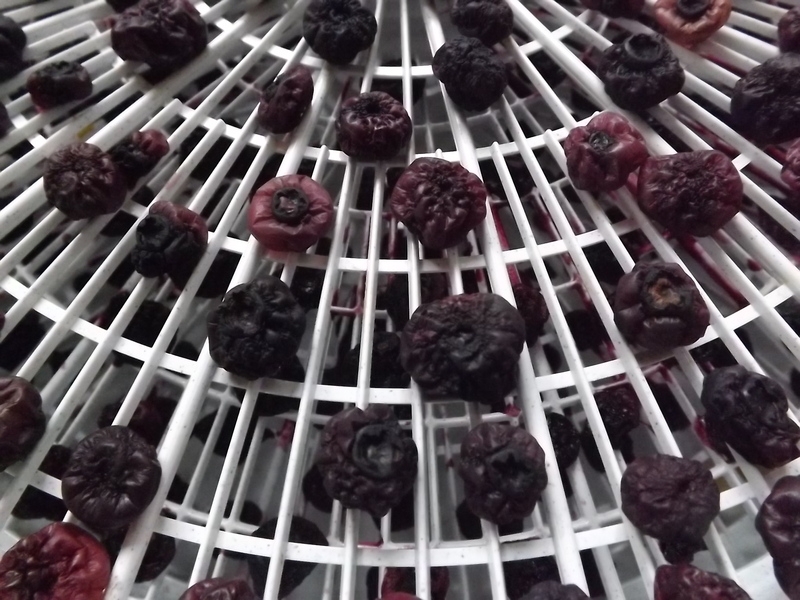 The second was easier in that all I had to do was rinse the berries and then spread them out on the dehydrator trays. Putting the trays in the dehydrator at 135 overnight, here is what they looked like in the morning. Both berries were crunchier than I wanted. I must have dehydrated too long. The blanched berries were less crunchy, but both tasted about the same. 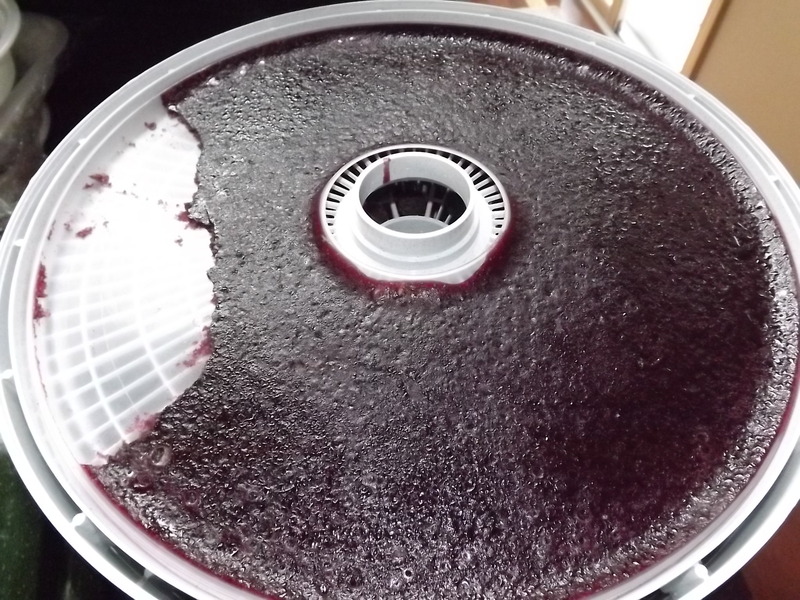 Since I had the dehydrator running anyway, I decided to try some blueberry fruit leather. Unlike other fruits, blueberry needs a few more ingredients to make it smooth. 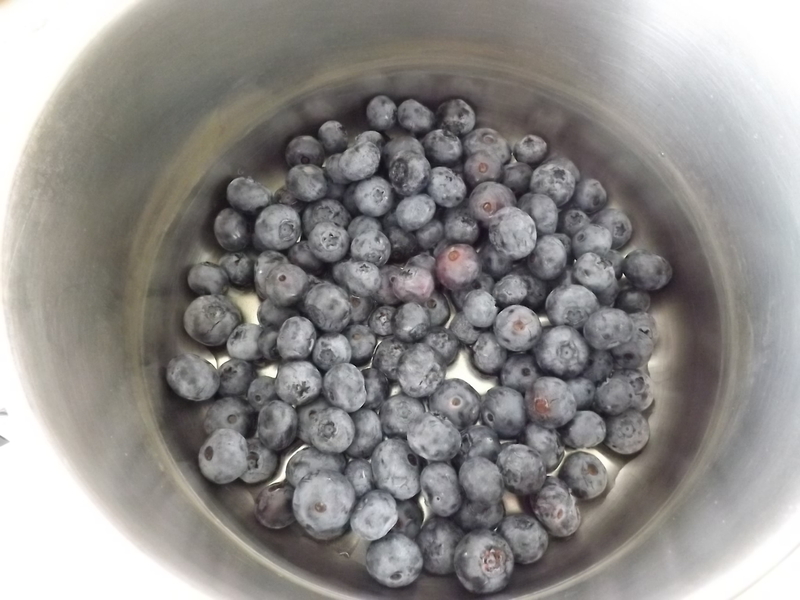 Heat blueberries and water in saucepan until berries start to breakdown. Remove from heat. Add remaining ingredients. With immersion blender puree mixture until smooth. 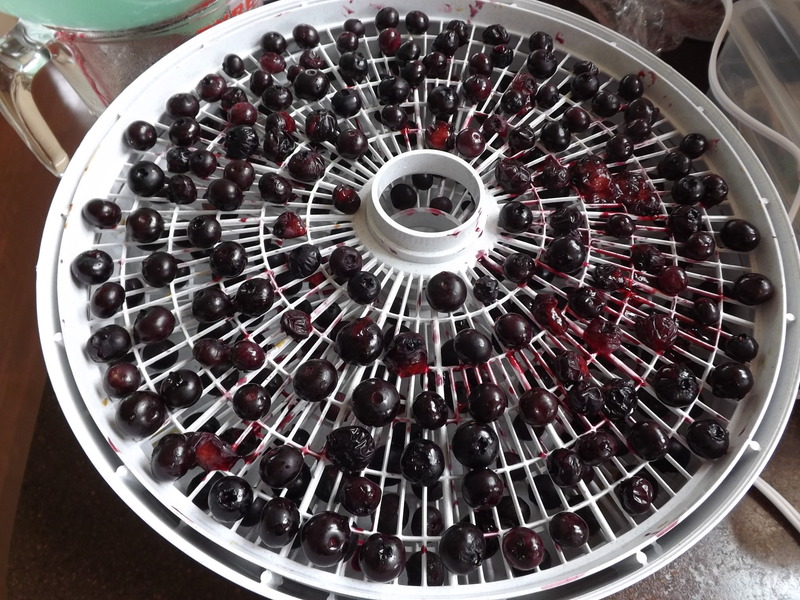 Pour blueberry mixture on lined dehydrator tray and dehydrate at 135 for 8 to 10 hours. This turned out really good. As you can see, the kids couldn’t even wait for me to cut it. It’s sad that Michigan blueberry picking in my area isn’t possible this year, but it is wonderful that our local grocers are able to get Michigan berries for us, and for this I am — Simply Grateful.